LOVE BEING A NONNY! : I'm In A Magazine...............WHAT?????????????? I know I know!!! WHAT????????????? Let's backtrack a little! 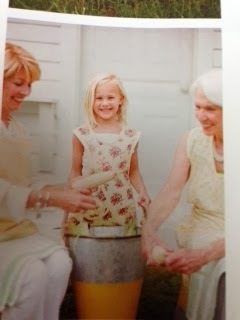 Last fall my friend, Sibi, from Pearls and Grace, contacted me about a photo shoot that involved grandparents. Long story short, they picked me and poppy! WHAT?????????????????????? Ok, clearly we aren't model material, but we ARE grandparents so this tugged at our/my heart strings! The photo shoot was within 40 minutes of our home, so off we went. We didn't have a CLUE what we were getting into! Ok Ok............... here are the pictures. 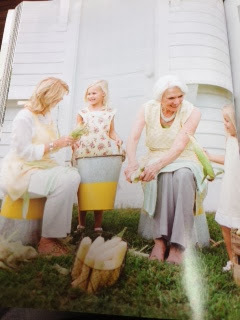 I had so much fun and a friend gave me the idea to buy a copy of the magazine for each of my grandgirls. I will save it for them and give to each of them when they get engaged. They can see how fashions and ideas have changed...or, how they have come full circle! (These pics were taken with my iphone of the magazine pages. So, there you have it. My magazine debut! It was so fun and I learned a lot about how hard these ladies work! (Lara gives our Lord Jesus credit for the blessing of this magazine!) 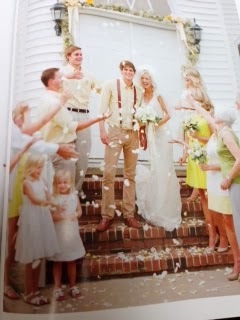 Southern Weddings comes out one time a year...in the fall. It stays on the newstands until March. 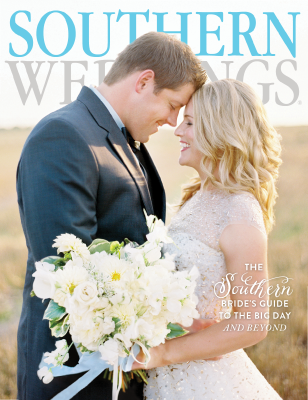 However, if you can't find it locally, you can order a copy from Southern Weddings website! Thanks Lara Casey and your team for making this Nonny feel like a model for a day! Oh my word, thank you SO much for this sweet post! We all were dying over you buying one for each of your granddaughters and saving them until they're engaged! So cute!! How fun!! You look fantastic in the photos but the experience seems like it was equally awesome. Nonny, You are famous! Love the pictures! You look absolutely beautiful! 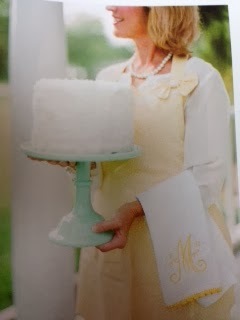 Someday those granddaughters will look at their copy of the magazine and think what a beautiful Grandmother you were! How exciting for all of you! I think the grandsons each need one for their fiances. What an honor for you and your family! You look beautiful on the pictures! Grandmas are so pretty these days. And Grand # 9 Is………….